Whether you’re left or right-handed, want to ditch the wires or fear the dark arts of wireless tech, Logitech’s G900 is the mouse for you. What are the best mice for your mitts? 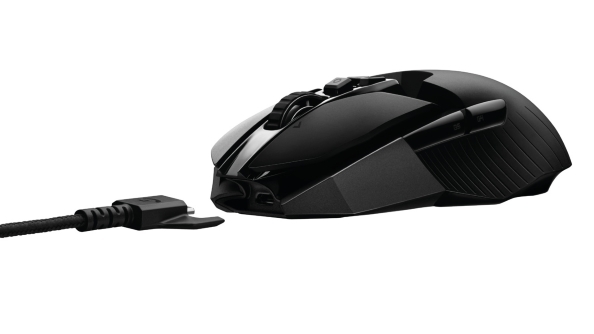 Check out our take on the best PC gaming mouse of today. In the interests of full disclosure I feel it’s important to point out that my first love, when it comes to gaming mice at least, was Logitech’s G9. As such there is always the slightest chance I might be a little biased when they go on to release a mouse which is a whole two zeros better. The G9 was released nine years ago now but, aside from the always-gorgeous, free-wheeling infinite scroll wheel, the G900 Chaos Spectrum has almost nothing in common with that darling old-school rodent. The fact remains, however, that it’s still tugging at my heart strings in the same way the G9 did. 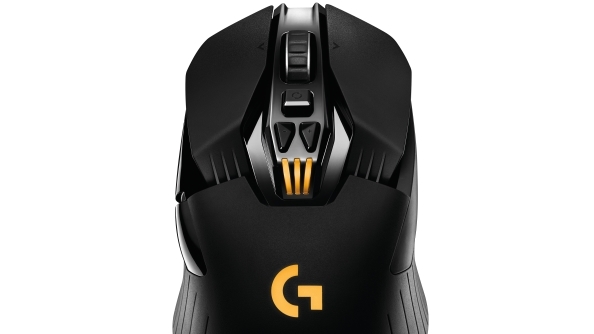 The G900 uses the IR-LED optical Pixart PMW3366 sensor which we first saw in the impressive Logitech G502 Proteus Core. At the time that was the most advanced gaming mouse around, sporting a headline-grabbing maximum sensitivity setting of 12,000 DPI. Throw the G502’s sensitivity up to that level though and you quickly lose track of your twitchy mouse cursor at anything below a 4K desktop resolution. Thankfully Logitech were never trying to get you to game at such crazy-high settings, in fact the G502’s default profiles maxed out at 6,400 DPI. If you wanted to take your gaming life in your hands at 12,000 DPI then you had to do it yourself; Logitech wasn’t going to leave that open to an accidental press of the mouse’s DPI switch. The Chaos Spectrum does the same thing, shipping with a four-stepped default profile which taps out at a relatively lowly 3,200 DPI. So, why use such a high-sensitivity mouse in a rodent that’s never going to be used at that level? The simple answer is that the Pixart PMW3366 is one of the best sensors that’s ever been jammed into a PC peripheral. It means the tracking of the G900 is exemplary – it’s reliable, accurate and carries none of the smoothing/acceleration aids that have blighted high-DPI laser sensors for so long. Such artificial methods of translating a laser mouse’s movement have been most of the reasons for pro-gamers sticking to unfiltered, low-DPI optical sensors for tournament play. With today’s optical tech though, they no longer need to compromise on sensitivity. The G900 also slides smoothly across whichever gaming surface you choose to use (well, turf or gravel aside), with less resistance than the feet of Razer’s competing Mamba mice. The combination of its light weight (just 107g) and slippy-slidey feet give it a slick linear translation of motion across your desktop. 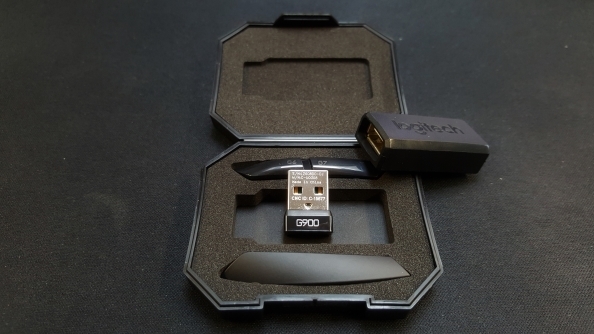 The G900 Chaos Spectrum is very much in keeping with the design notes (and bizarre nomenclature) of its recent gaming mice, the G502 Proteus Core and G402 Hyperion Fury. It’s relatively long, and rides low to the desk. On first look that might seem to make it a bit of an issue for both claw and palm grip gamers, but it’s actually designed to cater for both to use in comfort without any of the over-the-top customisation you’ll find in a Mad Catz mouse. The left and right buttons are relatively long and curve down at the front, but are just as responsive wherever you click along that sweep, and the ‘hump’ under the hand is positioned well enough to cradle the palm too. This design inclusivity doesn’t stop at the standard grips – this is one of the few ambidextrous gaming mice available. It’s a neat, symmetrical design which allows for four different button layouts. It ships in a regular right-handed setup, with a pair of backward/forward buttons positioned by the right hand’s thumb. Included in the box though are a further pair of buttons which can be added to the opposite side for the sinister lefties as well as a blocking attachment which can then be put in place over the standard thumb buttons. Alternatively you can opt to have buttons on either side or, if you’re into the whole simplistic thing, you can ditch any extraneous buttons altogether. An ambidextrous mouse is almost always a compromise, however. The angular Logitech layout is never going to feel quite as comfortable in my right-hand as the dedicated design of the Razer Mamba or Shogun Bros. Ballista MK1. But it’s no deal-breaker, and the G900 has a few more tricks up its sleeve, ergonomics aside. For a start it’s also wireless – should you choose – and is absolutely the best example of a cable-less gaming mouse I’ve ever used. No caveats here: accuracy, battery life, responsiveness, ease-of-use, the G900 Chaos Spectrum absolutely aces every single one of them. I’m a big fan of the Razer Mamba, a wireless mouse which hugely improved over the awful Ouroboros. But it’s not without its faults and unfortunately most of those stem from its wireless capabilities and the occasional stuttering that accompanies it. I’ve experienced none of that with the G900. Whether at home or in the rarified air of PCGN Towers, I’ve found no interference with the wireless signal. In fact, in a blind test, I challenge anyone to tell the difference between gaming with it wirelessly or plugged in via USB. It’s also got it where it counts in the battery-life stakes too. Logitech have taken full-day battery life to a literal degree, offering a default 24 hours of gaming on a single charge. Manage the ubiquitous full RGB LED lighting intelligently though and you can easily push that over 30 hours. And with the ability to plug in, charge and carry on playing, with no interruption, the G900 is a hugely versatile li’l rodent. Though I have to say the large USB cable you attach to the front of the G900 to charge it does look rather ungainly, and is surprisingly loose in terms of fitting. Again it’s a minor thing and barely detracts when the wireless technology is so reliable. My only real issue with the G900 Chaos Spectrum then is one of pricing; at $150 (£135) it really is a lot of money to spend on a gaming mouse. But with the performance, reliability and versatility of the G900 you’re not going to be needing to upgrade for a good long while. Even when we hit 5K and 8K screens – you know, when we’re being served by cyborgs and flying cars fill the sky – that flawless sensor will still have the legs to keep up. 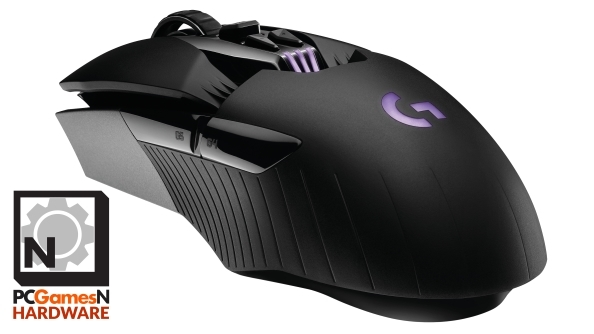 The Logitech G900 Chaos Spectrum then is the full gaming mouse package. Responsive, robust, comfortable, packs great tech, powerful software and is about as versatile as you could hope. The only folk who might baulk at it are those of us on a budget, or those who wouldn’t get out of bed for anything less than 15 programmable buttons. Expect to pay: $150 / £105.Check Amazon live prices.